The purpose of the ARC program is to ensure that RFID tags are able to meet or exceed the levels of performance and quality necessary to provide benefit to the End user in a consistent and cost effective manner. 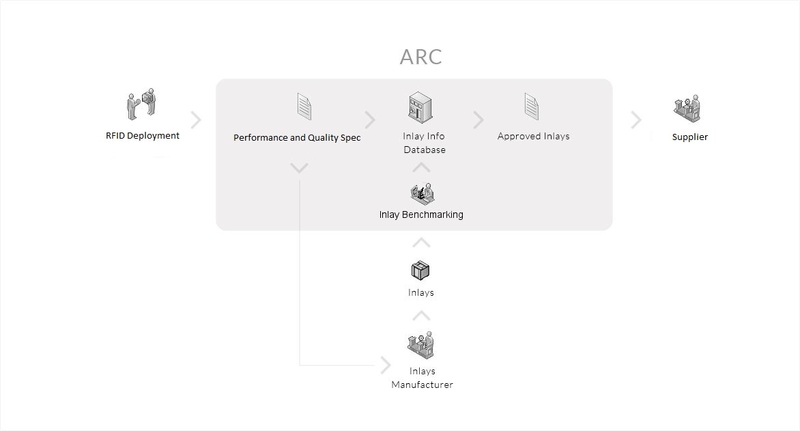 ARC works with end users in retail, aviation, and manufacturing to identify the performance and quality requirement of their use cases and deployment. These are the requirements (Specs) that an RFID tag needs to meet to perform reliably in the deployment. ARC maintains a database that stores comprehensive performance and quality data of market available RFID tags. Lists of tags that meet the requirement of the end users can quickly be generated by comparing the Spec to information in the database. Inlay Manufacturers send new tags to ARC before they are released to the market. ARC measures the performance of the tag, compares it to all the Specs, and adds it to the approved tag list of the Spec if the tag meets the requirement of the Spec. The ARC testing methodology is open and has been established through industry collaboration. No vendor is excluded, and in order to remain abreast of technological developments, ongoing participation is encouraged. The methodology is clearly defined, but continual assessment and enhancement input into the testing process is encouraged and incorporated into evolving revisions. Copyright © 2019. All design and content rights are reserved by Auburn University RFID Lab.